Leon was raised on a family farm in Fremont, Wayne County, Utah. He obtained a bachelor’s degree in agricultural economics from Brigham Young University. After graduation, he worked for the USDA Soil Conservation Service in Richfield and Coalville, Utah, for five years. Following that, he was involved in agricultural finance for the next 33 years with Western AgCredit. 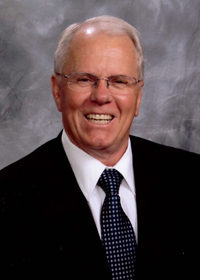 Leon retired from Western AgCreditin 2012 and made the transition from finance to real estate. He maintains his certified general appraisal license and is a licensed real estate agent in Utah and Idaho. He specializes in farm and ranch deals and uses his agricultural experience to provide his clients with unparalleled service. He enjoys: hunting, fishing, boating, gardening, working on the family farm, traveling, and spending time with his wife, Becky, their five children, and nine grandchildren.